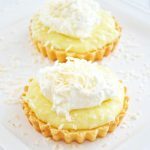 These Coconut Cream Tarts with a Shortbread Cookie Crust are simple to make, and are SO delicious! This recipe makes 6 – 3 inch tarts, or 1 -10 inch tart. Tart. I love that word. Just say it out loud. Tart. Tart. I just hear the word and I need one. Stat. And that’s likely the reason I don’t make them very often, because if I do, I have to eat one. I mean you can’t just let a tart sit there looking all tarty. And if there’s a coconut cream tart…oh man…I don’t stand a chance against a coconut cream tart. Me + coconut = true love. This recipe makes 6 – 3 inch tarts, or 1 -10 inch tart. In a saucepan over medium heat, bring the milk, cream of coconut, coconut, and the vanilla bean to a simmer. Remove from heat, an let sit for 1 hour. In a mixer, beat together the egg yolks, sugar, cornstarch, and salt. Beat together until thick and pale yellow. After the milk mixture has sat for the 1 hour, reheat it until it is hot again. Once the milk mixture is hot, slowly pour it into the mixer, while the mixer is going at medium speed. Once the cream is mixed thoroughly, transfer it to a saucepan and cook it over medium heat, whisking constantly, until boiling, and the mixture thickens. You can strain the cream through a sieve to remove the shredded coconut, but I like to leave it in the cream. It’s delicious! 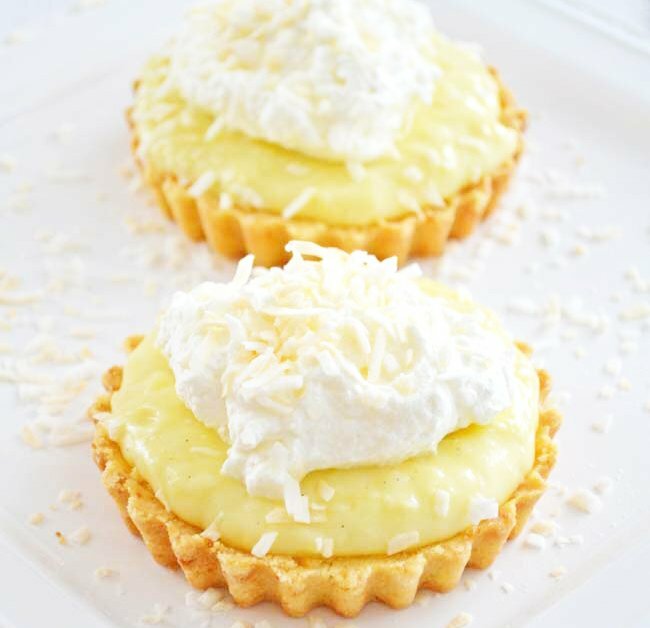 Let the coconut cream cool completely before adding it to your tarts. Make sure to stir the cream well before using. Once the tarts and coconut cream have cooled completely, fill the centre of the tarts with a scoop of the cream. Thank you for the recipe, one of my favorite deserts. Deliciousness! and, oh my… your photo is stunning!! 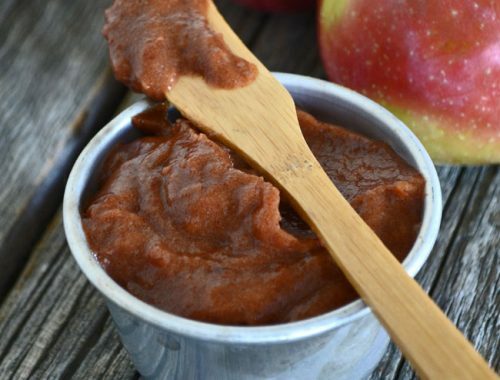 Fabulous looking recipe—thank you!!! What is coconut cream, though? I’m saving this to a special folder and look forward to making it soon!!! Some days just need a little treat and I think this one will do the job with lots of taste and very little sugar….this week has been a heavy one for us,…we learned my husband has a lung tumor–that’s probably cancerous–and needing surgery….I think I’ll make this recipe for him….and nurture him with love and lots of prayers…and…tarts! Thanks for all you give through your blog!! Shortbread and coconut? Yes please! These look so yummy! These tarts are just gorgeous Jo-Anna! Pinned! Hi Jo-Anna, visiting from the party at Tatertots and Jello – these looks simply beautiful! I love Coconut Cream anything and wish I could just grab one right now! 🙂 So pinning these beauties and thank you for sharing the recipe. Have a wonderful weekend! I pinned this. I have not had this for a very long time. I do not know why since it is one of my favorites. These look absolutely delightful! Pinned it and new follower from the Weekend Wrap-up! These tarts are soooo pretty!!! and they look extremely tasty 🙂 What an amazing recipe! hi wanted to know how can i replace the egg yolks and egg in this recipe as I am a lacto vegan..
I’m so looking forward to making these tarts! Your photo is gorgeous. No wonder they didn’t last long! I’ve featured them on Friday Finds today. 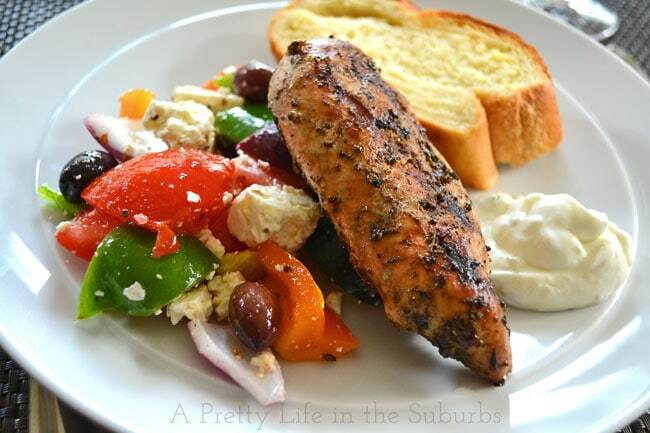 Thanks for sharing the recipe and enjoy your weekend. Plan to make these ASAP, but would you kindly provide the diameter of the “large” tart pan you mention as an alternative to the small, individual tart pans? 8-inch, 9-inch, larger? Thank you very much for the fabulous recipe! Hi! Sorry for the late response! I always use an 8 inch tart pan. Thanks very much for the pan size info. After I sent my originall email, I noticed that at the top of the recipe, a 10-inch pan was called for if not using the smaller pans. I just got a new 8″ tart pan, so I’m going to make this tart today. I’ve always had the French tinned tart pans with removable bottoms, but I just discovered the Fat Daddio tart pans, which I much prefer. They’re much sturdier, the fluting is a bit more shallow, and the flute width is a bit wider, making it easier to fit pastry in the pan, while still providing plenty of flute definition when the tart is removed. They’re also a snap to clean, so I’m a Fat Daddio convert now! Looking forward to making this lovely tart in my new tart pan! Does this need to stay refrigerated? Do you think I could use Almond Milk in place of the 2 cups whole milk (maybe half and half). I know in some recipes such as puddings, it wont set. Hi Rebecca! I’m not sure how it would work…I’ve never tried to make custard with almond milk before. If you try it, let me know how it goes! Does this recipe make enough custard for a 9″ deep dish pie? 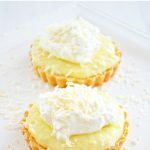 I would like to try this coconut custard recipe, but instead of making a tart I want to make a coconut cream pie with a sky high meringue. Hey Jo-Anna, I have made this recipe twice and both times the custard did not set, remained milk like. Perhaps I used the wrong coconut cream? What kind do you use? Hi Mary! Oh I’m sorry to hear that! 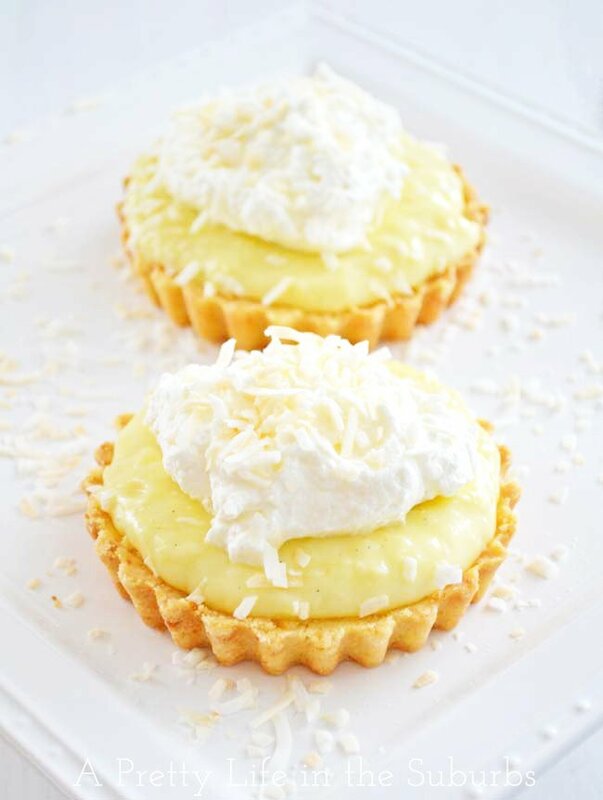 I’ve used Thai Kitchen and Grace brands for these tarts…make sure it’s the coconut cream, not coconut milk. Also, if the filling is not setting, you could try adding more cornstarch. 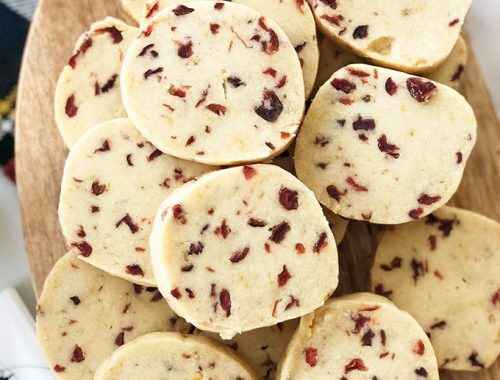 Can I use vanilla extract instead of vanilla bean. Hi Lisa! You definitely can…I would use 1/2 tsp of vanilla.